Asian casino promoter Melco Resorts and Entertainment Ltd says it is “preparing to install the latest generation” of facial recognition technology in its venues in Macau and Manila this year. The firm gave the news in its Sustainability and Corporate Social Responsibility Report 2018 issued on Monday. “In 2016, Melco became the first operator in Asia to deploy real-time facial recognition security systems at every entrance to our gaming areas in Macau, assisting self exclusion,” noted the report. 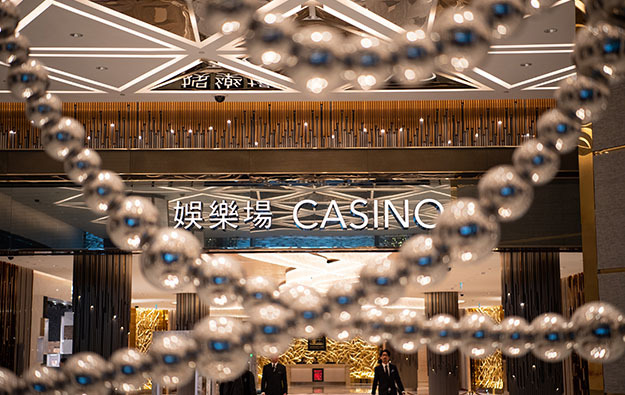 “Melco [Resorts] has since been refining the technology and is preparing to install the latest generation in its properties in both Macau and Manila in 2019,” it added. In some Western jurisdictions, public debate on the use – either by the state or the private sector – of facial recognition technology has focused on whether it poses a threat to privacy and personal liberty. In some parts of Asia it has been embraced as a useful tool for crime control and protective surveillance. Last month a representative of Macau’s Unitary Police Service said that cameras equipped with facial recognition technology would help deter criminal activity in the vicinity of the city’s casinos. Melco Resorts also has its sights on gaining a casino licence in Japan, where the authorities have expressed some interest in facial recognition systems as a way of mitigating the potential social harm of gambling. This is on the basis it can be used to control – more efficiently than relying on the eyes of security staff alone – who has access to gaming venues. Persons that casinos might want to exclude include those already registered as having problems with compulsive gambling; those already blacklisted for whatever reason; or people that are under age. Melco Resorts said in its latest sustainability report that its “MelGuard” system was the world’s first “’biometric intelligence system’ for responsible gaming, developed by Melco”. The report added: “The technology uses biometric indicators to prevent restricted individuals” – including the self-excluded – “from entering the casino floor, while complying with data privacy requirements”. Lawrence Ho Yau Lung, chairman and chief executive of Melco Resorts, had pitched the MelGuard technology during a presentation in Tokyo in late 2017 presenting a possible concept for its vaunted Japan casino venue. Melco Resorts also announced on Monday a sustainability strategy called “Above and Beyond”. According to a press release, the group’s strategy focuses on meeting some key goals by 2030, including achieving “carbon-neutral resorts”; setting targets for achieving reductions across a range of emissions; and achieving “zero waste” in relation to resort operations.